The Netflix film To All the Boys I’ve Loved Before came out on August 17th, and I’ve already watched it three times. The movie (based on the YA series by Jenny Han) is charming and heartwarming. It leaves me with the sense of giddiness that all fantastic teenage rom-coms should. But beyond that, it’s a story built around a character I can actually identify with, fully: Lara Jean is a half-Korean, half-white teenager discovering the values of family, love, friendship, and honesty—with herself and with those around her. I’ve never really felt like television, film, or even books told stories that were actually about me: a mixed-race, first generation Thai Brit living in America (and maybe we haven’t gotten quite that specific… yet). Popular stories all seemed like fantasies, pieces of culture that I loved to engage with but that contained protagonists I could never fully embody. The young adult series that were trendy when I was growing up—books like Gossip Girl or The Clique series—zeroed in on the wealthy and white. Don’t get me wrong; I still read those stories and unabashedly followed the TV episodes, but I knew they weren’t written with a girl like me in mind. With the emergence of To All the Boys I’ve Loved Before—alongside the box-office hit, Crazy Rich Asians—I’m so heartened to say that I finally feel like that’s all beginning to the change. This is not to disregard the canon of Asian American literature and film that has paved way for this moment; books like America is in the Heart, The Joy Luck Club, and The Woman Warrior all taught me to think critically about my identity, family, and place in the United States. This continuation of Asian American media celebrates how far our stories have carried us. 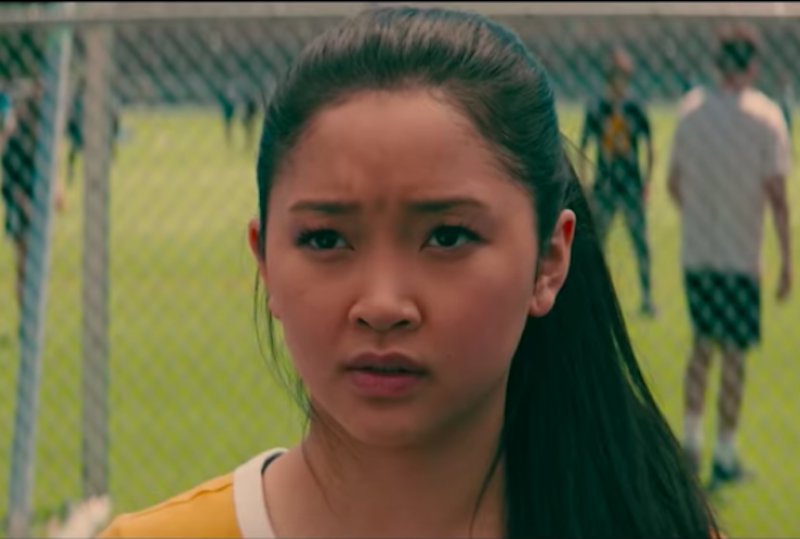 Watching Lara Jean (played so enchantingly by Lana Condor) makes me feel like I’m watching myself. Her handwritten love letters remind me of my own private declarations to my crushes, including a sonnet I wrote in the 9th grade (during a Shakespeare lesson) in which I compared my crush’s green eyes to stalks of celery. The opening scene, where Lara Jean fantasizes about being in a romance novel, is embarrassingly familiar to my teenage self and all the Sophie Kinsella novels I devoured. Though Lara Jean is a biracial character tiptoeing across two cultures, the center of the story doesn’t focus on her racial identity or the traumas associated with being a person of color in America today. The story allows typical teenager Lara Jean to be, well, a typical teenager. A lot of Asian American literature and film from the past has clung to the narrative of fleeing and settlement, or the dichotomy of being American but not really feeling American. Asian American writers are often pigeonholed into writing about trauma, family, and identity without much wiggle room to discuss anything else. And although these stories are wholly necessary and have allowed for new stories to be told, I’m excited to consume culture that presents the realities a Korean American teenager might face without heavy explanations of her race. Lara Jean is clever, quirky, and well-meaning. She has a messy room and a strong bond with her sisters. She drinks Yakult in the morning during my favorite scene—where love interest Peter Kavinsky (played by heartthrob Noah Centineo) delights in Yakult for the first time, exclaiming that the yogurt drink we’ve all been sipping since childhood is “really good.” All of this feels so refreshingly authentic thanks to author Jenny Han, director Susan Johnson, and screenwriter Sofia Alvarez. I wish I had Lara Jean to model myself after when I was in high school. I would have been able to see what it’s like to be unapologetically me. 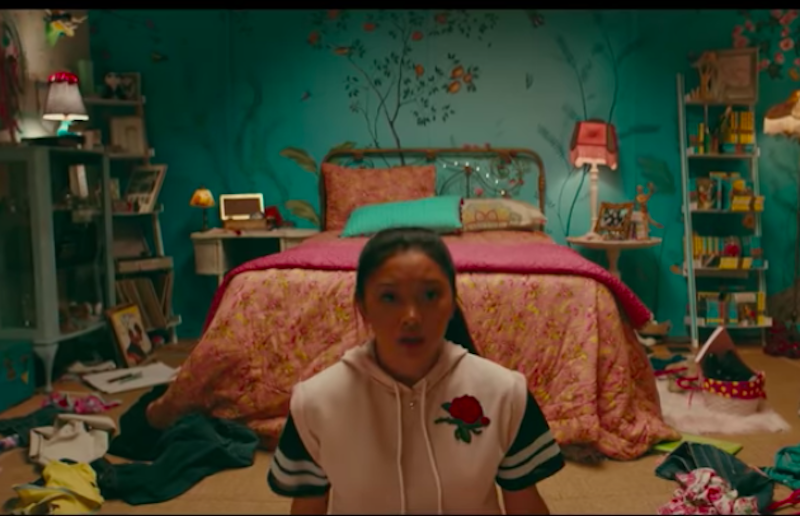 It’s the tiny details that allow Lara Jean’s character to shine on screen—whether it be her uniquely vintage wardrobe complete with flatform sneakers, her obsession with Sixteen Candles, or her strength to confront the intersecting dramas within her life. The phrase “representation matters” gets thrown around a lot, but it’s because it’s true—these stories, when written by and for us, impact us in entirely new ways. 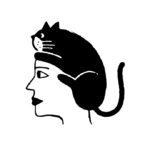 We’re able to identify with characters beyond the surface level. We can even envision ourselves filling their shoes. 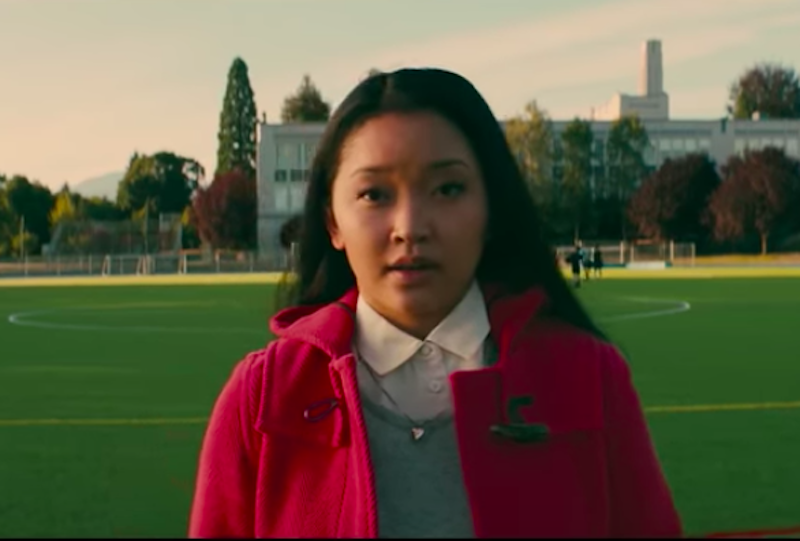 Looking at the screen and being able to say, “Hey, that’s me,” is a powerful reaction and a testament to the talents of the filmmakers and Jenny Han’s vision. I’m excited to see what the future of literature, movies, and television looks like with a generation that gets to grow up seeing diversity normalized across all storytelling mediums. It’s our turn to tell stories that matter to us, with characters that can understand and portray our truest selves. And in the meantime, I’m excited to see a sequel to this intoxicatingly sweet rom com (did you guys see that end credit scene? ).